Designed by Margriet Foolen, Nold is both new and old combined. 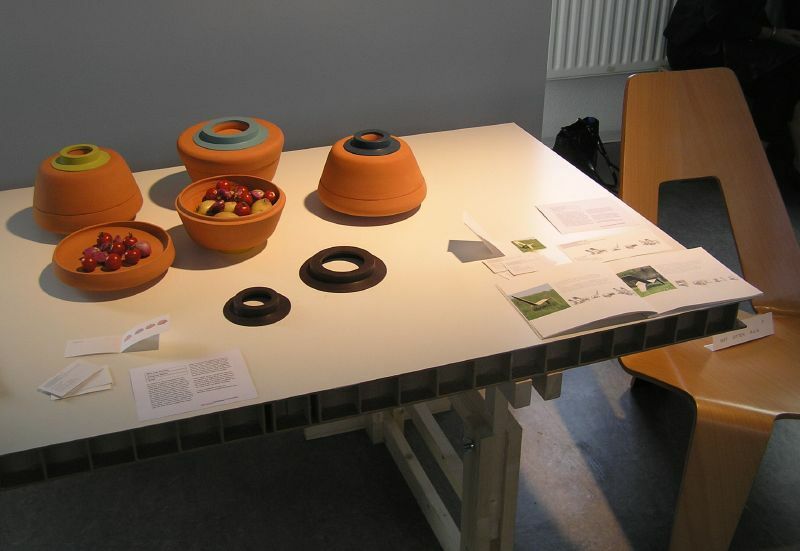 These earthenware bowls designed for a single portion are inspired by the slow-cooking r?mertopf because it is very healthy to use them for cooking - you do not need to use oil or butter to prepare your food, allowing the vitamins and minerals to remain in your meals for a healthier you! Depending on portion size, you can choose between the shallow or deep pot. 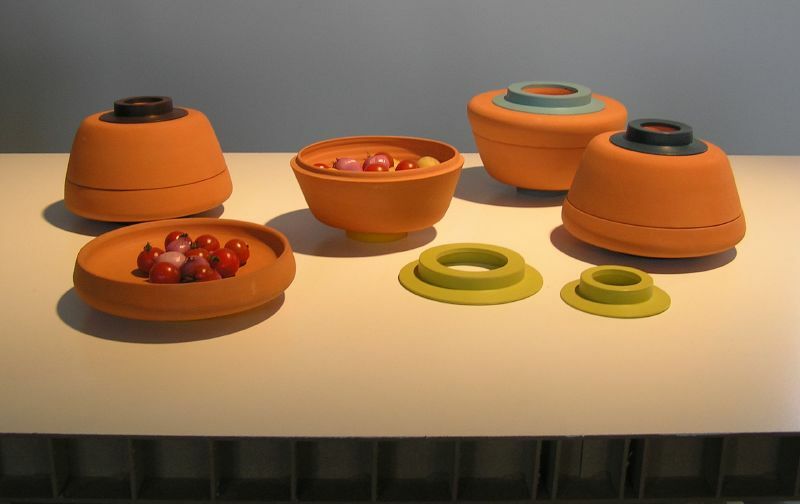 Heatproof and colorful, the silicon rings also make these bowls stackable for easy storage. Once out of the oven, you can place them on the table and eat directly from the bowl. 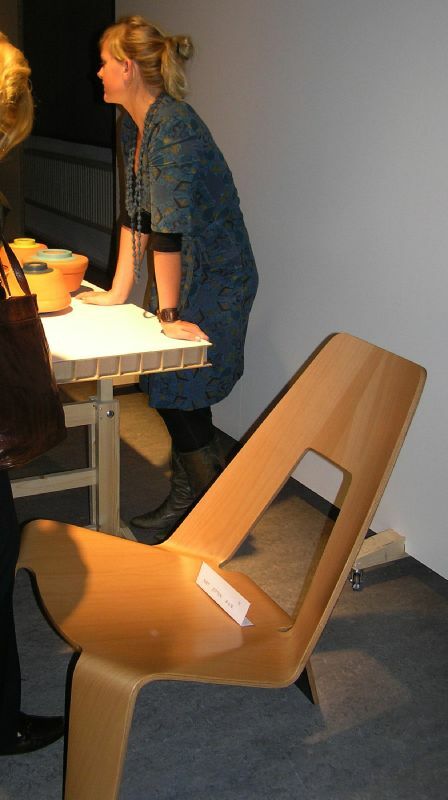 "I fold you" was also on display from Margriet Foolen, stackable, weather-proof, no-screw no-glue garden furniture constructed of flexible beech wood. Formed out of one sheet by using curves and cut-outs, they are both comfortable and strong. Lovely.